The moment you become a parent, everything changes. Your sleeping patterns are a part of that, and the perfect response is “what sleep”, but it’s more than just getting up in the middle of night to check on your little one. You spend so much time gazing at the little one in the crib, watching the little breaths, the quirks of their smiles in dreams, and wonder what they’re thinking and imagining. And you remain concerned at all times, because anything can happen when you’re looking after a little one. Baby monitors and security cameras made to watch over your little ones can help tremendously, allowing you to get on with parts of your life while your little one sleeps. For all those times that you can’t be there watching over, it’s handy to have a camera that can, notifying you of any crying or whether the room is too warm. But while the technology inside baby monitors has certainly made things more convenient and can report to your phone, the reporting can be fairly limited. Sound, motion, air quality, and temperature tend to be where it all maxes out at, and while that’s all excellent to know, at least one company has been working on a system to give more understanding to what’s happening to your bub while you’re not there. Shown at CES, it’s a new baby monitor called “Miku”, and it’s one that does what others do — tracking temperature, sound, motion, and so on — but it also has the smarts to do something else. Miku’s camera uses a combination of technologies to analyse and understand vital signs, factoring in respiratory rate and helping to work out breathing patterns and sleeping trends, making recommendations accordingly. The camera aims to be secure as well, with 128-bit encryption to keep images and video locked down, not to mention the data being recorded, with 5 megapixel images, 1080p HD video, and the ability to talk to your baby through a two-way talking system on the camera. While Miku appears quite forward thinking, it’s not what we’d call cheap, fetching a cost of $399 USD, which translates roughly into $555 AUD before shipping. 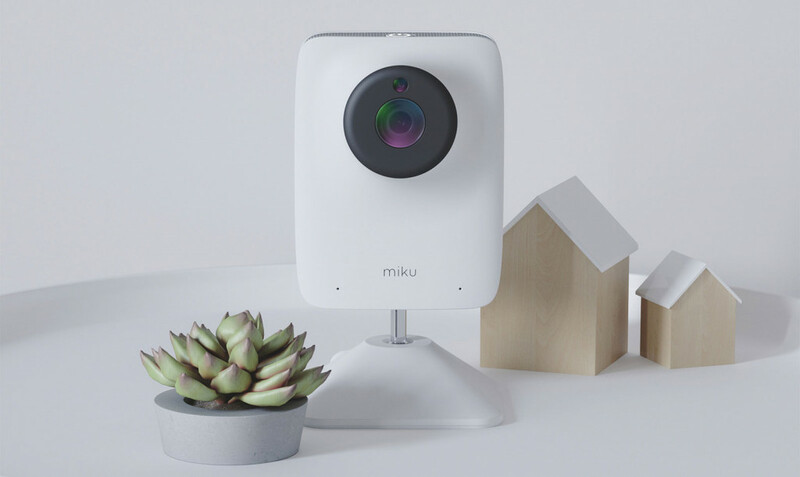 Baby monitors are rarely cheap, though Miku competes with other solutions, such as the excellent Arlo Baby, which locally can be found for around $299. That said, Miku’s vital analysis could put it a world ahead of other baby cameras, and given how much parents want to know about their kids, this could be just the peace of mind parents are after.